Misha silk screens retrace the ancient oriental tradition of “Byōbu”, lightweight and long-lasting, finely hand painted traditional Japanese screens. The name “Byōbu” means “protection from the wind”, and these modern screens are design objects that easily furnish any room, adding a special touch of exotic elegance. A central element in the great revival of the latest interior design trends, silk wallpaper screens are the ideal solution for creating conversation corners, improving the layout in bedrooms, adding “movement” to a space or concealing a corridor off the dining room. 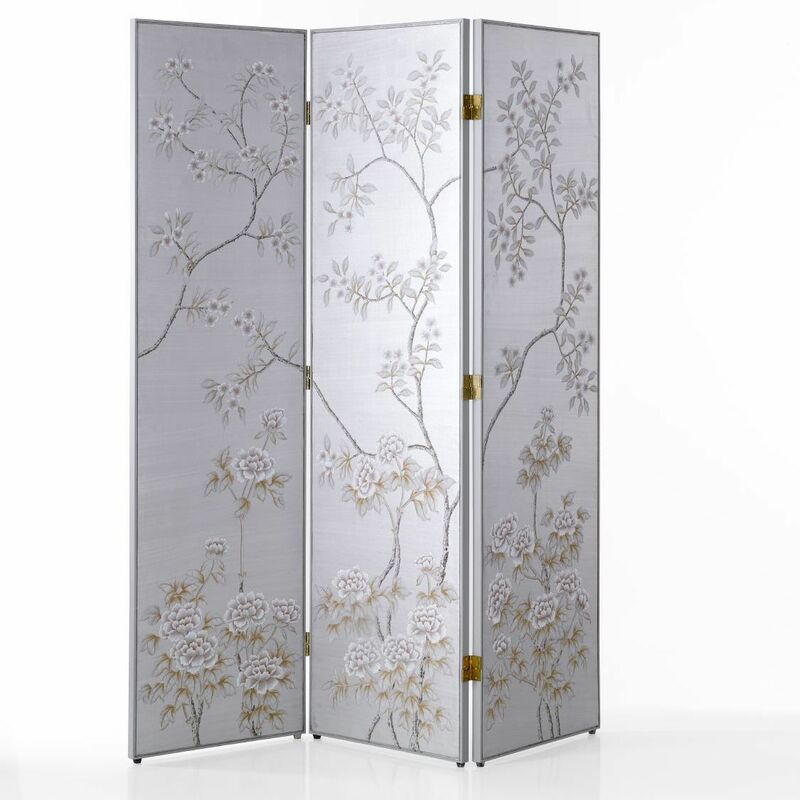 Misha oriental screens can be made in any of the wonderful patterns and fabrics in the catalogue, and are finished with the finest attention to detail: furniture that becomes an authentic work of art.